Isn’t it important to you to maintain functional home appliances? The services of our Appliance Repair in Delta ensure that! We also go the extra mile to help our customers as soon as possible when emergencies arise. Our team doesn’t simply care to keep you happy but also safe. When dryers give you trouble, don’t hesitate to call us. Taking care of home appliances is our job and rest assured that our team is one of the best in British Columbia. We offer immediate repairs and also service and install home appliances. You can trust our company for all related needs and count on our expertise and the thoroughness of every one of our Delta Home Appliances Repair specialists. We are a local home appliance repair company and would be embarrassed to face our fellow citizens if we wouldn’t be able to help them efficiently, on time and properly. Our professionalism is guaranteed. Not only do we respond fast but make sure the dryer works safely and all kitchen appliance repairs are completed to the full satisfaction of our client. Everyone in Delta can rely on us. Who doesn’t go through fridge trouble or hasn’t experienced a leaking problem with the washer or dishwasher? 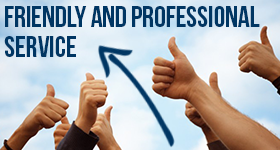 For all such services, our team stands by your side and is ready to offer its wisdom, experience and knowledge. The effectiveness of our services will be obvious and will certainly have positive effects in your life. 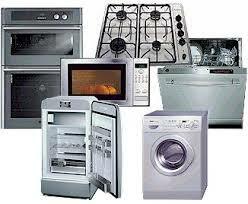 Our response is fast when there is urgent need for Home Appliances Repair in Delta. Being fast doesn’t mean being sloppy! We might respond fast but this is possible due to our excellent organization. Our vans are always equipped and our knowledge is ensured. We can service and repair appliances made by any manufacturer and you can also depend on us for the installation of the new ones. We are all trained in our team and can promise you great maintenance and installation, small appliance repair and thorough troubleshooting.